Technology: Deburring/Deflashing services are metal and plastics parts finishing services intended to remove the rough and sharp edges from machined parts and the parting line overflows from castings. Any number of methods are employed from manual grinding to more exotic methods such as cryogenic deflashing. Among the major deburring methods, hand finishing, vibratory/tumbler finishing, thermal finishing, and Harperizing/centrifugal finishing are the most common. Hand finishing involves grinders, etc. and is often used for small parts runs and on very large parts. Vibratory and tumbling finishing is usually applied to large part lots using a variety of abrasives and tumbling or vibratory machines. 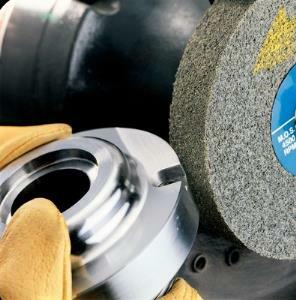 A spinoff of tumbling, ball burnishing uses steel balls to impart a hard and shiny surface to parts. Thermal finishing involve the use of combustion and high temperatures to burn away burrs from parts with interior surfaces while leaving the surface of the part unaffected. Harperizing is a high centrifugal force tumbling process used mainly with small parts. Deburring and deflashing are used mainly to assure the safe handling of parts that would otherwise present hazards to workers, users, etc. Deburring also insures that mating parts will assemble correctly without interference. It is also an important step in the manufacture of manifolds and similar fluid handling components that rely on smooth internal passages. Advantages: Deburring/Deflashing Services can provide specialized equipment for the deburring process that may be more cost effective than deburring parts manually. Applications: Deburring/deflashing services are used for metal and plastic parts that are molded or machined.